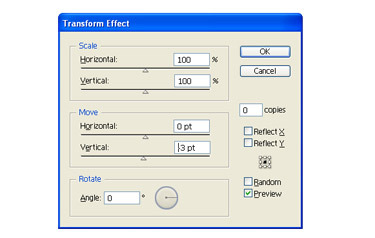 Choose the Type Tool (T) and type some text. Set for the fill colour to none. From the pop-up menu of the Appearance panel, choose Add New Fill and then pick green as the colour for this fill. 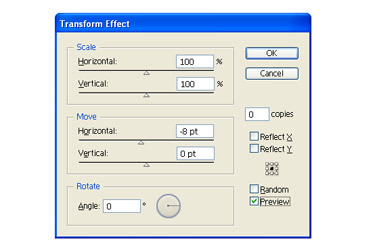 Choose the fill from Appearance panel, navigate to Effect > Distort & Transform > Transform. Enter -8px value for the Horizontal Move. The fill is going to slightly move to the left. Remember that this value depends on the size of the text. Open the Transparency panel and reduce the opacity of this fill to 80-90%. Choose your text and add another fill. Change the colour to Cyan. Pick the cyan fill and navigate to Effect > Distort & Transform > Transform (or press “Alt + Shift + Ctrl + E”). Enter a positive value of Vertical Move to slightly move the cyan fill down. Enter 3px but just like the setting of previous fill this might vary depending on the text size. In the Transparency panel, reduce the opacity of this fill to 80% and switch the Blending Mode to Darken. The text is still editable! Save this effect as a graphic style so we can apply it to other text or even path later. Just drag the text into the Graphic Styles Panel. We are done.